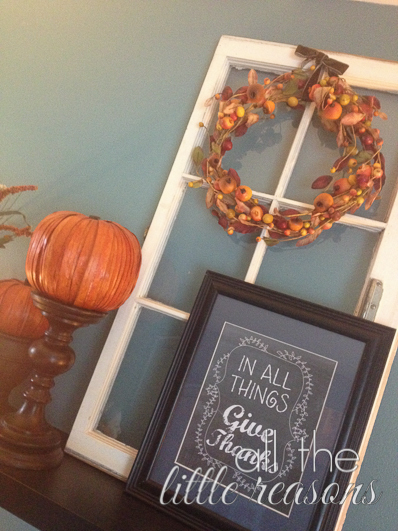 I began with an old wooden window and attached a fall wreath with brown velvet ribbon. I put a tack through the inside of the loop so it can’t be seen from the front. Then, I filled a pitcher with fall colored silk flowers. 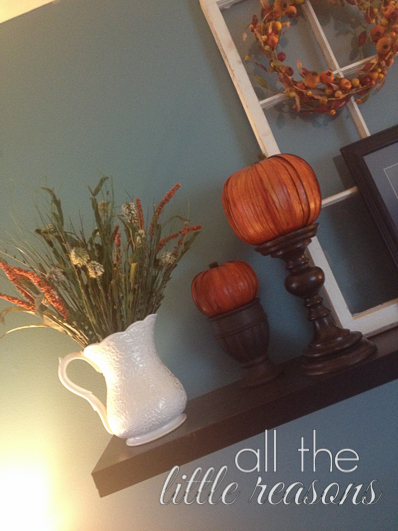 The pumpkins had me stumped a bit because I felt like with the tall window, I needed more height than just setting them on the shelf. So I used a tall candlestick and also a thing that used to have a topiary in it. The topiary bit the dust, but I thought I might be able to reuse the base for something. I think it worked great! 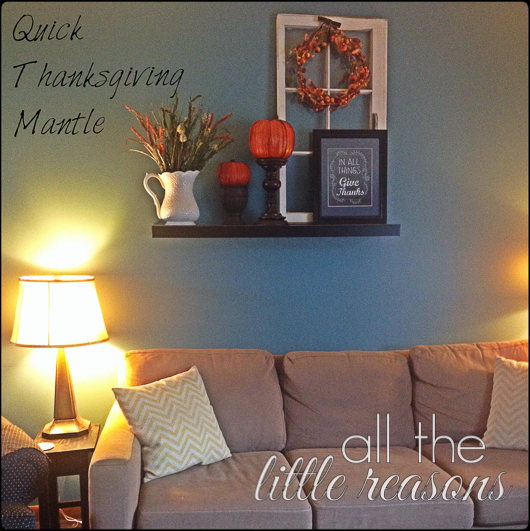 I used this site for the Thanksgiving printable and popped it into a frame I had laying around with my extra home decor stuff. There’s gobs of other free printables on Pinterest if you just search for them. So there you have it! Super cute. Super inexpensive. Super festive. Happy Thanksgiving!